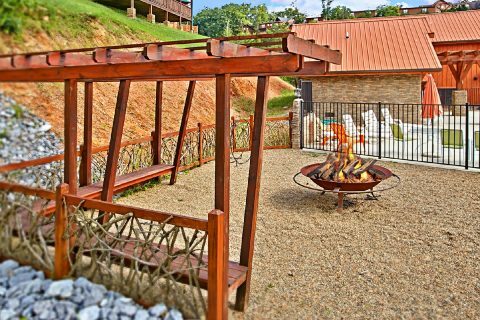 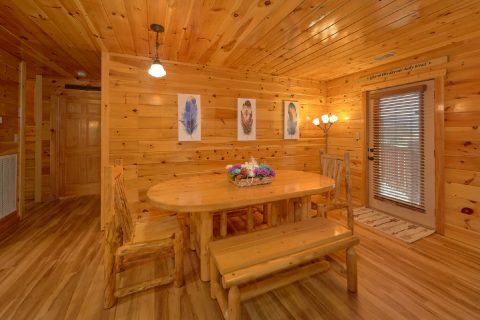 Looking for a luxurious group cabin that's near the Pigeon Forge Parkway? 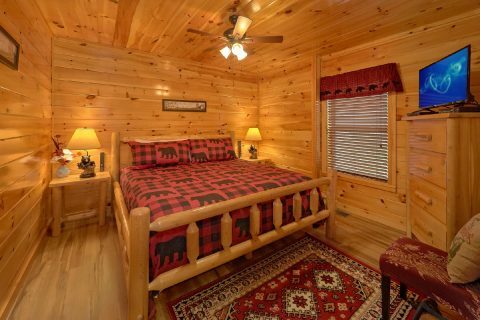 Look no further than "Crosswinds," a beautiful 6-bedroom luxury cabin that sleeps up to 18 guests in comfort! 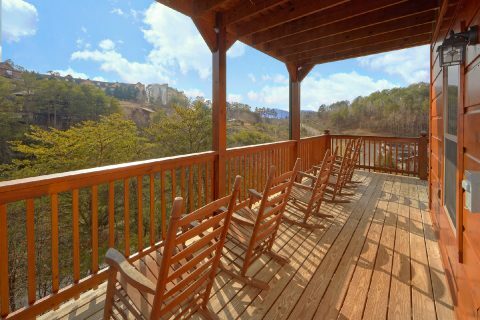 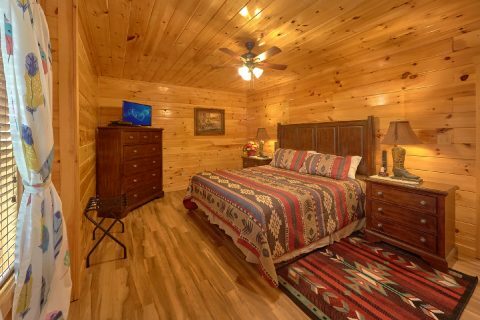 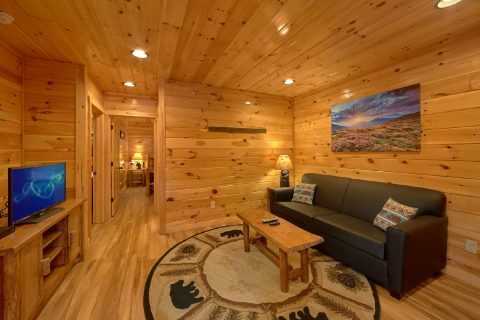 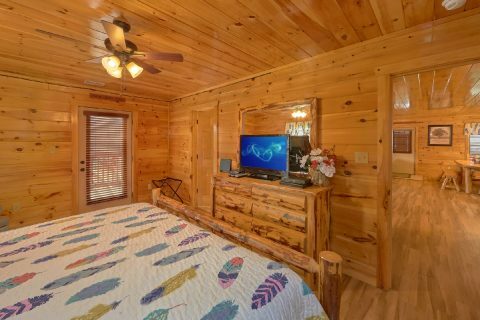 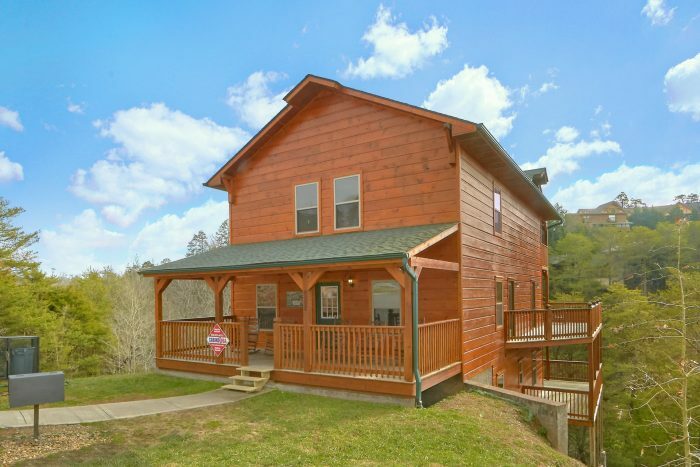 With a great location that's only 1 mile from Downtown Pigeon Forge and 3 miles from Dollywood Theme Park, this cabin keeps you close to all the action in the Smokies. 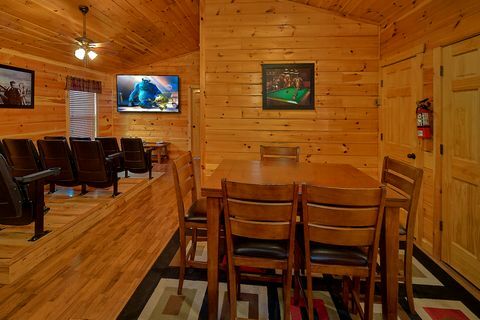 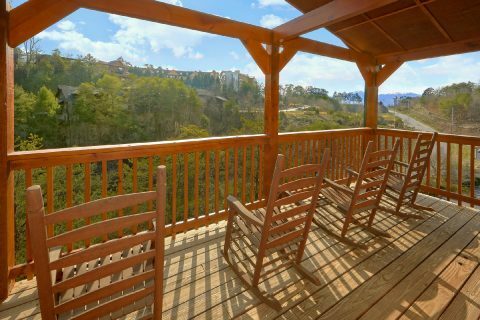 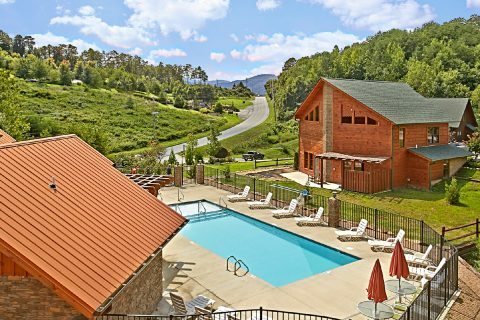 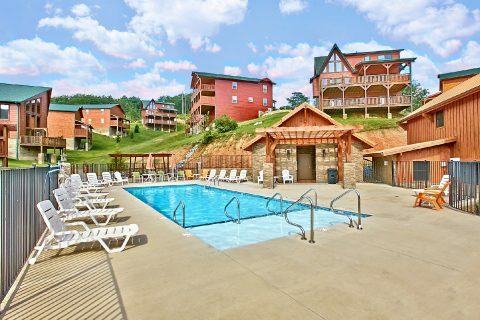 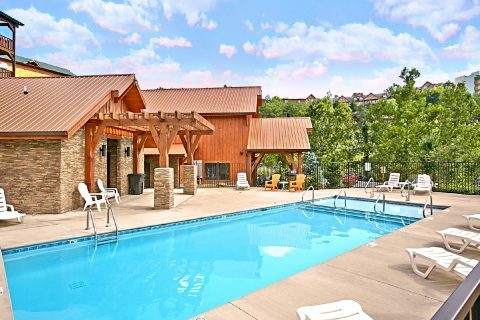 When you aren't out enjoying fun attractions, shops, and restaurants, you'll love relaxing at this resort cabin that's only minutes away from the Gatlinburg Golf Course. 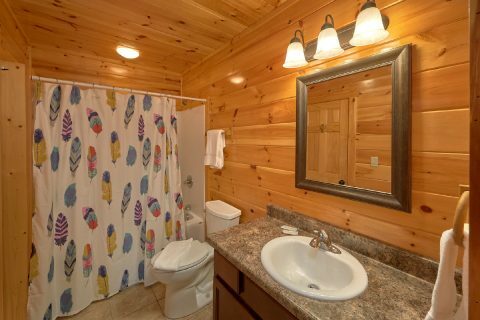 Better yet, this luxury cabin for groups also provides you with resort swimming pool access courtesy of Bear Cove Falls Resort. 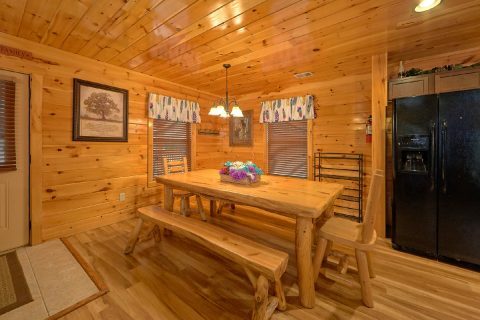 Step inside this spacious cabin and you'll find a welcoming place for enjoying the company of friends and family. 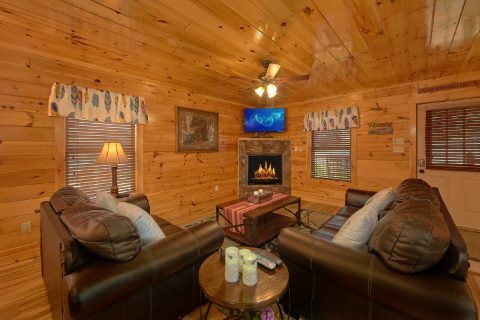 The main level living room comes complete with comfortable furnishings and a warm, electric fireplace. 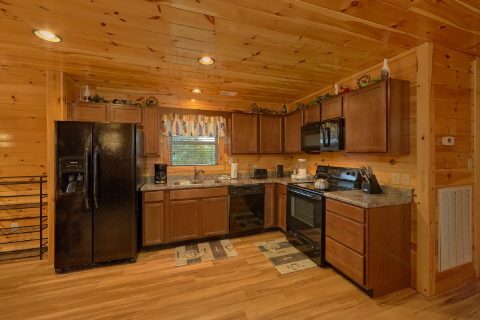 In the nearby full kitchen and dining room with seating for 18, you can enjoy delicious meals during your stay. 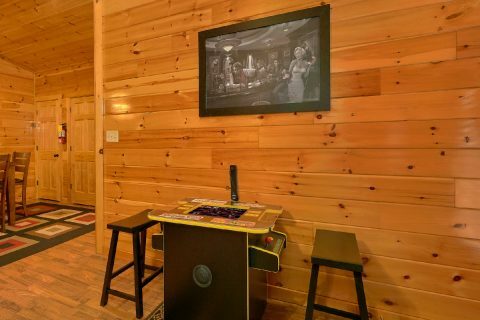 Upstairs, you'll find plenty of in-cabin entertainment in the game area that features a pool table and a foosball table. 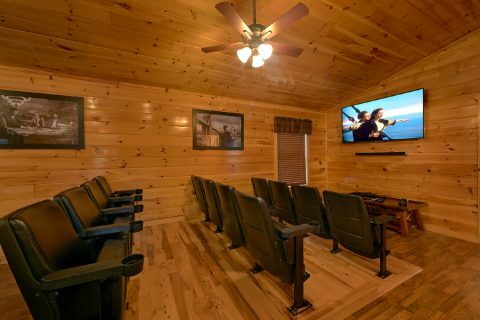 Nearby, your cabin also provides a theater room complete with a smart TV and Blu-Ray. 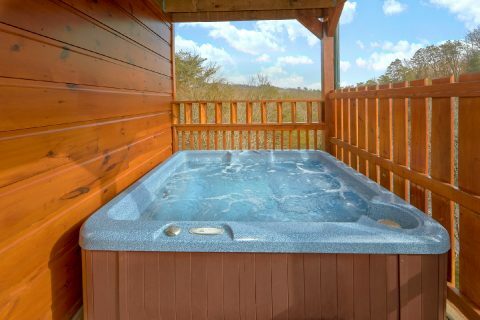 To wind down after a great day in the Smokies, you can look forward to taking a soothing dip in the warm waters of the hot tub. 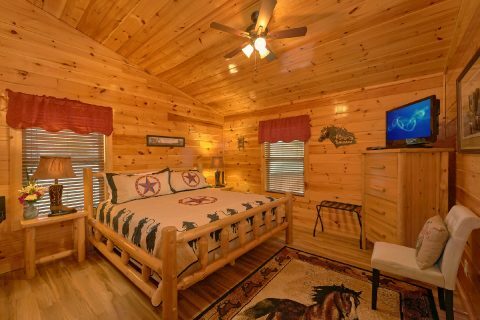 Once it's time to get some rest, you can look forward to getting a good night's sleep in one of this cabin's 6 bedrooms. 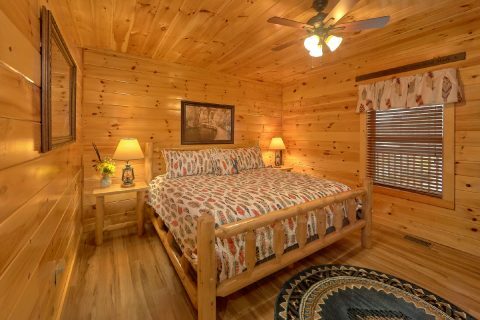 The main floor is home to a king-size bedroom with a full bathroom. 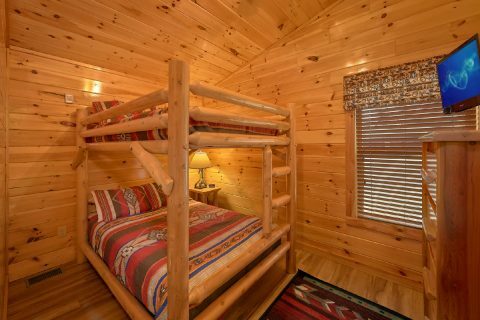 On the upper level, you'll find a king-size bedroom with a connecting bathroom and another bedroom with a full-size bunk bed. 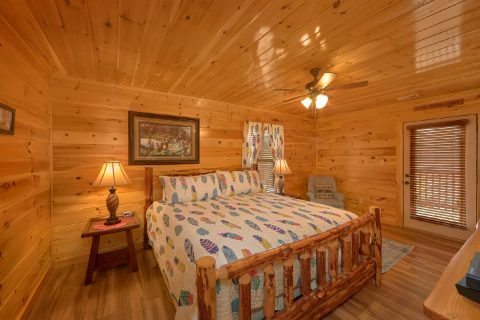 The lower level is home to 3 more king-size bedrooms. 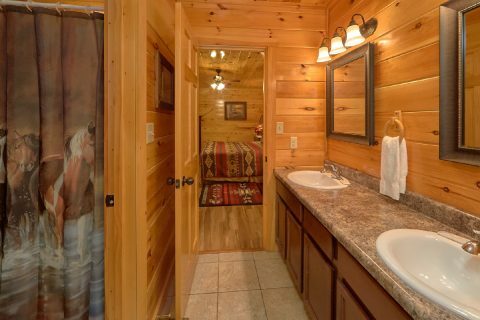 Two of the bedrooms share a luxurious full bath, while the other king bedroom enjoys its own full bathroom. 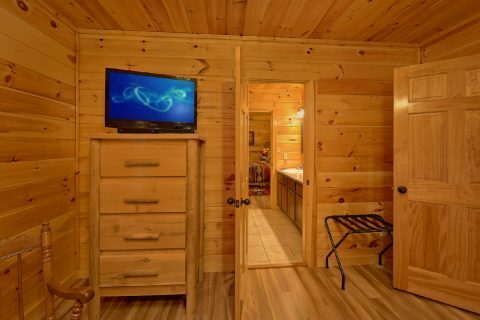 Each of this cabin's bedrooms comes equipped with a Smart TV with Blu-Ray. 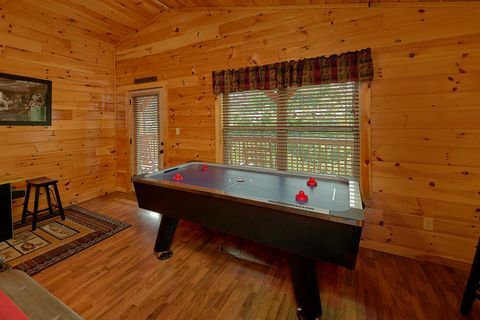 Lastly, you'll find a sleeper sofa in the main level and a sleeper sofa downstairs to accommodate extra guests. 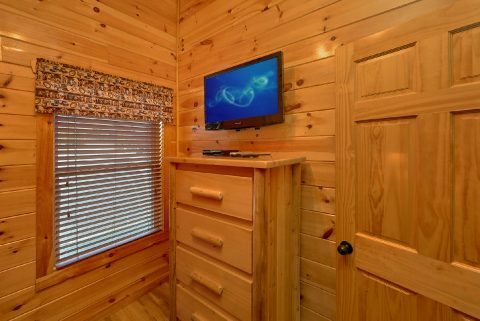 With useful amenities like a charcoal grill, WiFi, and a washer/dryer, this comfortable cabin has all the basics you need for your vacation in the Smokies! 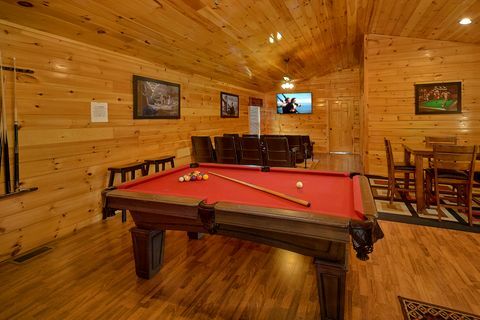 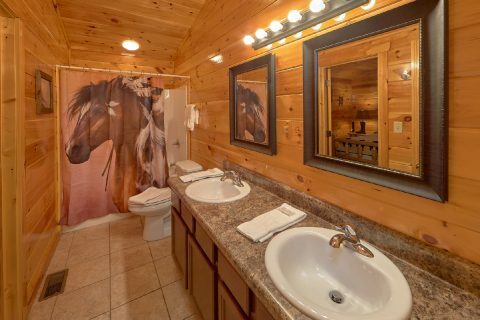 Book this 6-bedroom group cabin with a resort pool today with Cabins USA to save 15% on your nightly rate with our cabin discount!